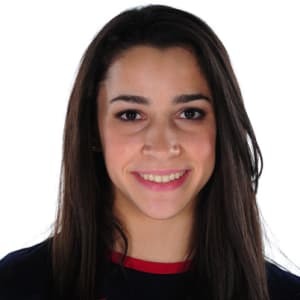 American gymnast Aly Raisman is a two-time Olympian who won six Olympic medals as a member of the U.S. women’s gymnastics teams, the 'Fierce Five' in 2012 and 'Final Five' in 2016. Born in 1994, Aly Raisman started gymnastics at an early age and helped the U.S. gymnastics team win the 2011 World Championships. The following year, she won two gold medals—one in the team competition and the other in the individual floor exercise—and a bronze medal on the beam at the 2012 Summer Olympics in London. In 2016, Raisman returned to the Olympics in Rio, winning silver medals in the individual all-around final and floor exercise and a gold in the women&apos;s gymnastics team competition. In 2017, Raisman revealed she had experienced sexual abuse at the hands of former team doctor Larry Nassar, and the following year she sued USA Gymnastics and the U.S. Olympic Committee. A member of the U.S. Olympic women&apos;s gymnastics team, Aly Raisman started learning her sport not long after she began walking. In an interview with USA Gymnastics, she said, "I was 2 years old when my mom put me in mommy and me classes. I always had a lot of energy so it was the perfect fit!" The oldest of four children, Raisman is the daughter of two athletic parents. Her mother was a gymnast in high school and her father played hockey. At the age of 10, Raisman took her training to another level. She started working with Mihai and Sylvie Brestyan at their American Gymnastics Club in Burlington, Massachusetts. Around the age of 14, Raisman had begun to compete on an elite level. She came in 12th over all in junior competition at the 2009 CoverGirl Classic. That same year, Raisman won the junior vault event at the American Classic. By 2010, Raisman proved that she had the right stuff to be a world-class gymnast. She was part of the silver medal-winning team at the World Championships and claimed three bronze medals at the Visa National Championships that year. Raisman went on to win the CoverGirl Classic in 2011, and earned a bronze medal in the floor exercise at the 2011 World Championships. She and her teammates—Jordyn Wieber, Gabby Douglas, Sabrina Vega and McKayla Maroney—also took home the gold medal at the 2011 World Championships, in the team competition. Raisman worked hard to balance her love of gymnastics with her school work. She went to Needham High School through her junior year, and completed her studies online in 2012. Though dedicated to her sport, she managed to find the time to go to graduation with her friends, and even made it to her senior prom. "The gymnastics definitely takes a priority, but she&apos;s very good with still trying to keep in touch with friends and having a little bit of normalcy," her mother, Lynn Raisman, told ESPN. "I think if you don&apos;t have that, it&apos;s hard. It&apos;s just a very grueling sport." Raisman made the U.S. Olympic women&apos;s gymnastics team in 2012. "Making the team is a dream come true," she told ESPN. "I am so honored and so excited to represent my country. It means the world to me." 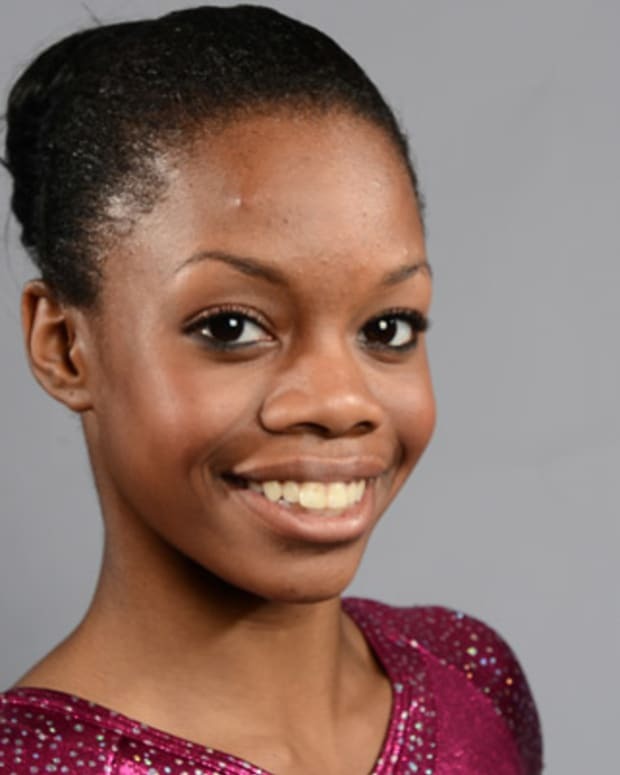 While the 18-year-old gymnast was selected to be the team&apos;s captain, much of the initial media attention focused on Raisman&apos;s teammates, Jordyn Wieber and Gabby Douglas. Once the games started, however, Raisman showed the judges that she was no underdog. 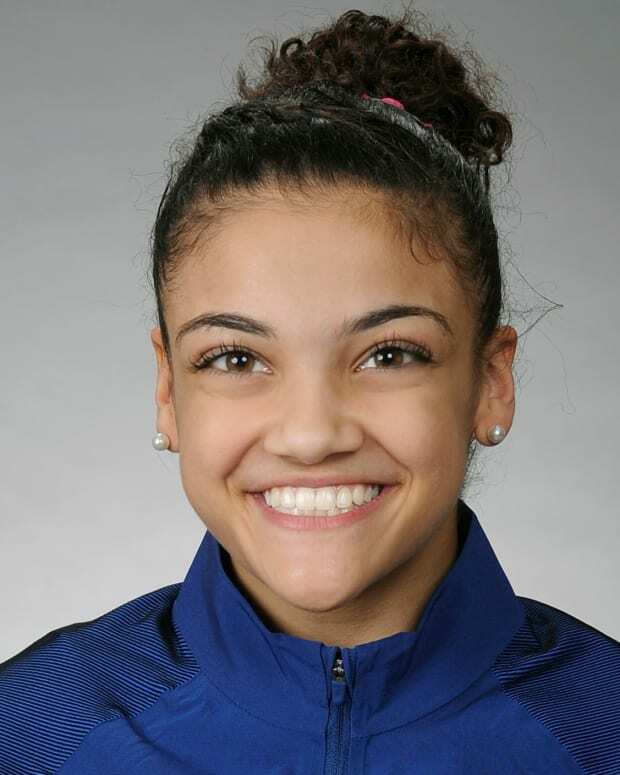 She beat out Wieber for a spot to compete in the all-around finals. According to Raisman, the victory was bittersweet. "I was really surprised. I feel awful because she [Wieber] wanted it so bad. But she should still feel proud. She&apos;s an Olympian," Raisman said in an interview with the Los Angeles Times. In late July 2012, Raisman and her U.S. Olympic women&apos;s gymnastics teammates—Gabrielle Douglas, Kyla Ross, McKayla Maroney and Jordyn Wieber, a group that would become known as the "Fierce Five"—took home a team gold medal. Fans worldwide watched as judges announced the team&apos;s medal win—the first gold for the American women&apos;s gymnastics team since 1996. Raisman went on to win a bronze medal for the beam and a second gold medal, in the individual floor exercise, at the 2012 Olympics. Afterward, Raisman took some time out of the gym to compete on Dancing With the Stars, in 2013. Two years later, she became an all-around bronze medalist and World team champion. In June 2016, Raisman was seen on Gold Medal Families, a Lifetime reality show that gave fans a glimpse into her family life. The next month, Raisman, along with Simone Biles, Gabby Douglas, Laurie Hernandez and Madison Kocian, officially made the 2016 U.S. Olympic team. Raisman and Douglas were the first American women gymnasts to return to the Olympics since Dominique Dawes and Amy Chow in 2000. At age 22, Raisman, the oldest member of the 2016 Olympic women&apos;s gymnastics team, brought poise and experience to Rio. "We’re going in as the best team in the world," Raisman told NBC. "So we should carry ourselves that way, not be scared and shaky because we have that pressure. It should be the opposite." 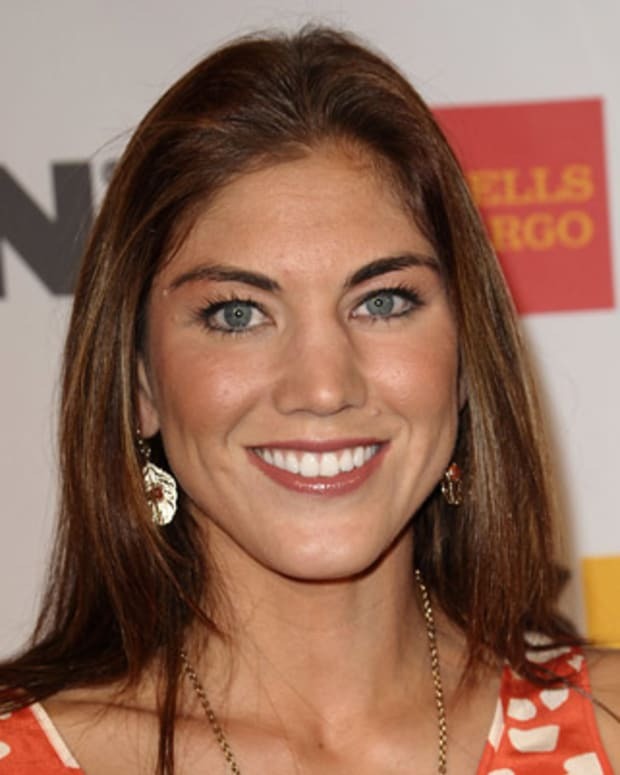 She went on to help the U.S. team win gold with impressive performances on the vault, balance beam and floor. Raisman shared the victory with Biles, Douglas, Hernandez and Kocian, a group that called themselves the "Final Five.” They were the third American women’s gymnastic team to win gold, following the team victories in 1996 and 2012. Raisman explained the meaning behind the team&apos;s nickname on Today: “We&apos;re the Final Five because this is [coach] Marta [Karolyi&apos;s] last Olympics and without her none of this would have been possible. ... We wanted to do it for her just because she&apos;s there with us every single day.” Additionally, the 2016 Games marked the last Olympics before the five-person gymnastic teams would be reduced to four. Following the team competition, Raisman won a silver medal in the individual all-around competition. 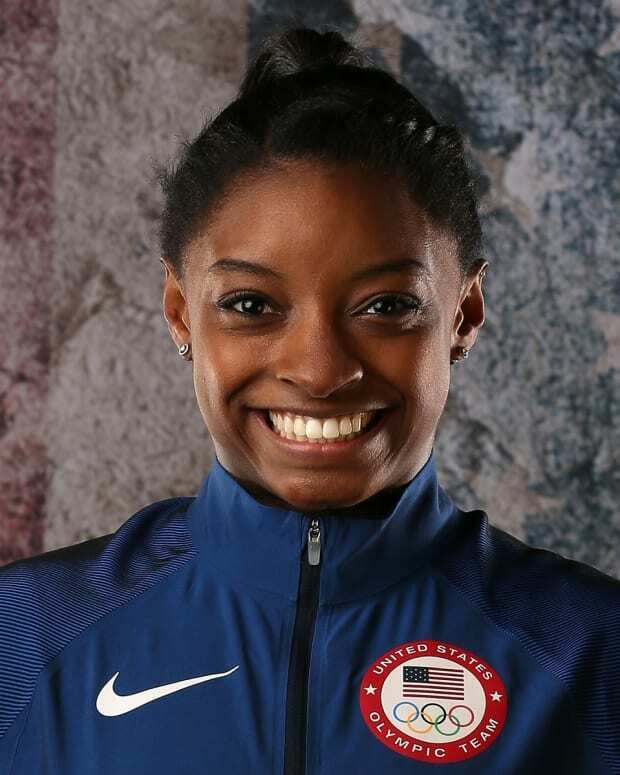 Teammate Simone Biles took home the gold and Russian gymnast Aliya Mustafina won bronze. It was an emotional triumph for Raisman, and the culmination of years of hard work and determination. "I feel like I&apos;m better now than I was in 2012," Raisman said in an ESPN interview after taking the silver medal. "I&apos;m very proud of that. It&apos;s obviously not something people expected or that&apos;s easy to do after taking a year off and being the &apos;Grandma,&apos; as everyone likes to call me. I&apos;m happy I proved everyone wrong." Raisman took silver again in the individual floor exercise with a score of 15.500, making her the first American gymnast to win medals in that competition in back-to-back Olympics. Teammate Simone Biles won gold and Amy Tinkler of Great Britain took the bronze. Following her Olympic triumph, Raisman set to work on her autobiography, Fierce. Days before its scheduled release on November 14, 2017, the gold medalist discussed the book&apos;s revelation that she had been molested by former USA Gymnastics team doctor Larry Nassar since age 15. “It wasn’t until I started seeing other doctors and athletic trainers that I began to realize that their methods were far different from Larry’s," she wrote of the experience. "And there was never a moment when their methods made me uncomfortable. It was different with Larry. I would lie on the table, my hands involuntarily balling themselves into fists as his ungloved hands worked their way under my clothing. ‘Treatment sessions’ with him always made me feel tense and uncomfortable." On November 22, Nassar pleaded guilty to multiple charges of criminal sexual assault, spawning a lengthy tweet from Raisman: “It is about time that Larry plead guilty and owned up to his actions. I am beyond disgusted that a decorated Olympic and USA Gymnastics doctor was able to prey upon so many over such a long period of time," she wrote. "You already know you&apos;re going away to a place where you won&apos;t be able to hurt anybody ever again," she said in her victim impact statement. "But I am here to tell you that I will not rest until every single last trace of your influence on this sport has been destroyed, like the cancer it is. "My dream is that one day everyone will know what the words #MeToo signify. But they will be educated and able to protect themselves from predators like Larry so that they will never ever, ever have to say the words, &apos;me, too.&apos;"
In early March 2018, Raisman filed a lawsuit against the U.S. Olympic Committee and USA Gymnastics over their failure to "implement appropriate safeguards" to protect her and other athletes from Nassar. Describing a system of neglect, she told The Washington Post of the inhumane conditions at the Karolyi Ranch, USA Gymnastics&apos; training center, where the showers lacked soap and the beds were covered with stained, bug-infested blankets. An athletic trainer who predated Raisman&apos;s time with the team corroborated the gymnast&apos;s accounts, adding that the coaches and staff would often depart from the facility at night, leaving the athletes alone to be treated by Nassar in their beds. In July 2018, Raisman took the stage at the ESPY Awards, alongside 140 other victims of Nassar&apos;s sexual abuse, to receive the Arthur Ashe Courage Award. "1997, 1998, 1999, 2000, 2004, 2011, 2013, 2014, 2015, 2016. These were the years we spoke up about Larry Nassar&apos;s abuse," she said, in one of the ceremony&apos;s most powerful moments. "All those years we were told, &apos;You are wrong. You misunderstood. He&apos;s a doctor. It&apos;s OK. Don&apos;t worry, we&apos;ve got it covered. Be careful. There are risks involved.&apos; The intention: to silence us in favor of money, medals and reputation. "To all the survivors out there, don&apos;t let anyone rewrite your story," she added. "Your truth does matter, you matter and you are not alone."